I’ve been working on the first draft of Book 4 of the Hands of the Highmage Series. The books: For Whom the Bell Trolls, Of Elves and Unicorns, and Goldilock’s and the Three Dwarves are companion stories to my Highmage’s Plight Series. They feature characters first introduced in Highmage’s Plight and its sequels, offering adventures in other lands in this world were elvin magic defeated science in the ages since a lost human colony first reached the world the elves migrated to after leaving Earth millennia before. I had planned the next book in the series to be a Princess Among Paupers, but the characters had other plans. I mean that. They really had other plans… So, Book 4 is Sleeping Beauties and Beasts. I’m working on the ending now of what may be one of the longer novels of the series so far, then I’ll begin working on the next drafts. After that, it may be ready for my editor’s review. Then, I deal with the edits, and it goes through another proof. Any fans of the series interested in being an advance reader in the coming months, let me know. With so many books in the series, another set of eyes on the continuity is helpful, and thoughts on the plot are welcome. Advance readers given me insights that have helped in the final round. Truth to tell, so have reviews… As I’ve been writing this series for thirty years that means I’ve a lot of world building and history. 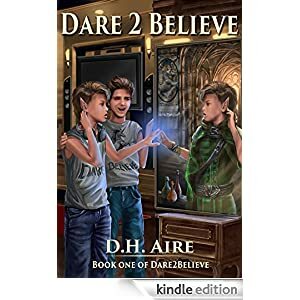 If interested in being an advance reader, contact me at dhr2believe at writing dot com. Sleeping Beauties and Beasts should be ready for release later this spring or during the summer.